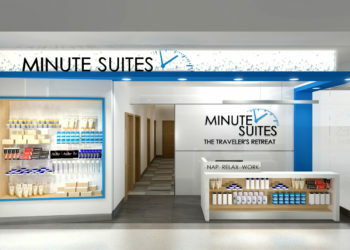 When Nick Reyes published his an article about booking Minute Suites on Frequent Miler, a travel blog, we asked him if he would share some of his traveling tips. He is, after all, an expert traveler. We caught up with Nick while he was spending some time with family in Myrtle Beach. So you write for Frequent Miler? Tell us about what you do. 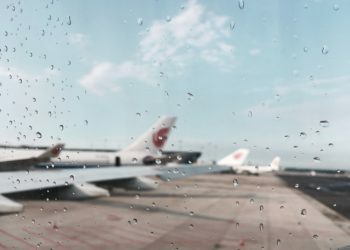 Frequent Miler is all about how to earn miles and use travel benefits—how to be more comfortable for less money. A couple years ago, I joined the team as a full-time employee. My job is to find great credit card deals and write about how to leverage them. Sounds pretty great. How’d you get into that? It actually started with an epic honeymoon. My fiance and I had been together for 10 years and knew we wanted to go all-out. So we collected miles and points and took a 4-month honeymoon, flying all business and first class. We stayed in hotels we never would have paid for and spent time all over the world: London, France, Italy, Spain, Croatia, United Arab Emirates, Japan, Thailand, Maldives, South Africa. We paid for a couple of cheap flights—$100 or so where it made sense—but most of it was booked on miles. We flew on airlines with flatbeds and free champagne. That was out of reach for us until we discovered this hobby, figuring out how to collect miles and points. We got to experience more because we saved money on the travel end. We ate nice meals, went on tours, things that we might have had to cut back on otherwise. Near the end of our trip, in South Africa, my wife said that everyone would ask what our favorite part of the trip was, so we should try to narrow it down. Then we went on a safari. It was the best by far. This experience kicked off others—we started planning three or four trips at a time. 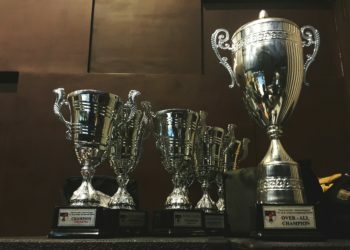 I spent a year studying blogs and collecting miles and points. I started out reading about major miles and points. Then I dug into nitty gritty and discovered more creative ideas and content along the way. As I got into this world, I went to my first Miles & Points conference in Chicago. I took note and learned sweet spots, figuring out how to use airline miles better than ever before. It inspired me! I had such a small frame of reference for what is possible. Now, we take at least one leisure trip every month. Then one day, I was at Frequent Traveler University and Greg, the founder of Frequent Miler, was speaking about something I thought I knew everything about. I was completely wrong! Which made me even more excited about finding more opportunities for miles. A little while later, he put out a post about needing an employee and I applied. Now I’m speaking at these conferences! Well, last year, I was floating in the Mediterranean sea with my wife and said, “Ahh, another day at the office.” We both love to travel because we can both do our jobs from anywhere. Now, we travel more, and more comfortably. Last year, we had a son, so we’re starting the adventure with him. Right now, we’re in Myrtle Beach because we have family here. We’ll be in Hawaii next week. We’re deciding where to go in February. It’s great to spend time on the road because we can, but I also love bringing this world to others who are interested in traveling comfortably. A lot of people see it in the news, but it’s pretty accessible if you spend a little time studying it. I first wondered, how many places can I visit? Now, I know how to travel more comfortably, too. We’ve traveled a lot of business and first class. I didn’t see much advantage in traveling that way up front. But the difference can be a small number of points. What’s the advantage you’ve found to traveling more comfortably? You can arrive and be rested, which allows you to hit the ground running. There are serious advantages to not having to waste an entire day jet lagged. That’s where minute sweets comes in handy. It’s a good private place to not only rest, but also get work done and be more productive. If you’re in a cramped plane and cramped terminal, it can be so noisy and distracting. It’s also more peaceful. My wife can get stressed about going to the airport and I never thought that I did… until I found private places. Then I realized out how stressful the terminal is! When I want a quieter environment for work or am traveling with my wife and son, it’s great to have a space. The advantage to Minute Suites vs. a lounge is that it’s totally private, really focus. When you want to sleep or need to get something done, you can’t beat a private space. Even a lounge can get crowded these days. What’s your biggest travel tip? Do research. It seems simple, but smallest bit of research can make a huge difference in quality. In a hotel, for example, I send an email to manager and ask for extra towels or a room with a window. You’d be surprised what you can get if you ask nicely when you ask nicely. This applies to hotels, airlines, everything. In fact, maybe my main advice it to have a positive attitude! People tend to get farther by being nice instead of angry. Travel is stressful. Customer service reps have interacted with stressful people all day. Present yourself in a friendly way and stand out. You get better results happy! My other tip, of course, is to check out Frequent Miler. Find out how to use your points—and start planning that next trip. Big thanks to Nick for offering tips to us outside of his typical platform. You really should check out Frequent Miler and find out how to use your credit card points. 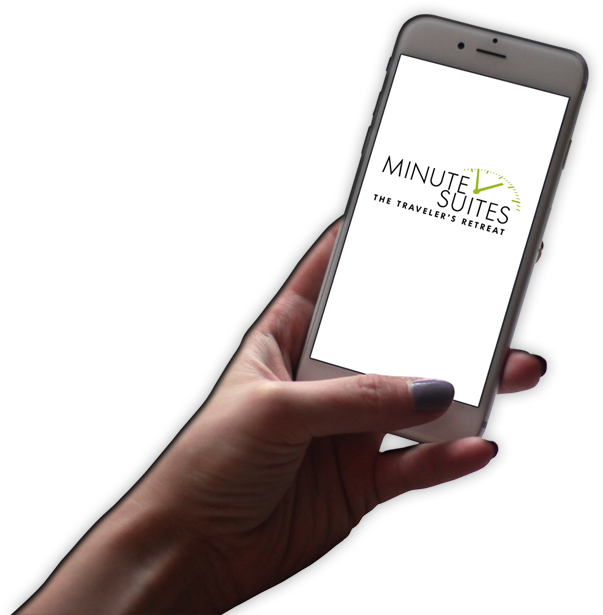 Of course, don’t forget to sign up for our Minute Suites rewards program either. How airport lounges compare to Minute Suites: An illustrated guide.